Wholesale Trader of a wide range of products which include single sided coated timing belts, timing belt, v belt, industrial timing belt and pu timing belt. To match up the growing requirements of customers, we are engaged in offering an extensive range of Single Sided Coated Timing Belts. The products we offer to the customers are extensively used in form fill seal machines for pulling down plastic foil, in order to form a pouch. Available in various lengths and widths, our products are highly demanded in the market. Moreover, we offer products to the customers after testing them on various parameters to ensure their flawless delivery. 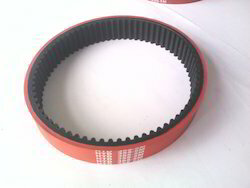 Being pioneers of the industry, we are engaged in offering a large range of Timing Belt to the customers. Our product is available in varied pitches, in synchronous double sides. This product is highly recommended amongst the customers for its usage in industrial, commercial and many more places. Moreover, we provide product to the patrons as per the need of the application and at affordable rates. 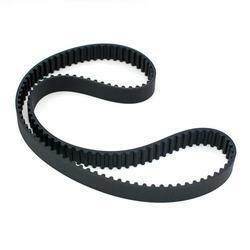 We are reckoned amongst trusted and eminent industries for offering a wide range of Industrial Timing Belt. Our offered products comprise two or more pulleys along with a continuous loop of material. One or both of the pulleys are powered for moving the belt and the material forward on the belt. Besides these, the products of our company are quality approved and available in various specifications. 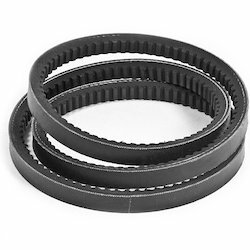 We have carved a niche amongst leading companies for offering a large range of PU Timing Belt. These power transmitting belts are made at our vendor’s end from quality resin body and steel traction cord. The products we offer are used in various industries for their best quality and effectiveness. Furthermore, high modulus cords are used in these belts, which allow low bearing load and great length constancy.